We all go through this contradictory phase with our hair where we have absolutely no interest in cutting it, but we still want a brand new and noticeably different look. This situation is especially frustrating when you have a bob. 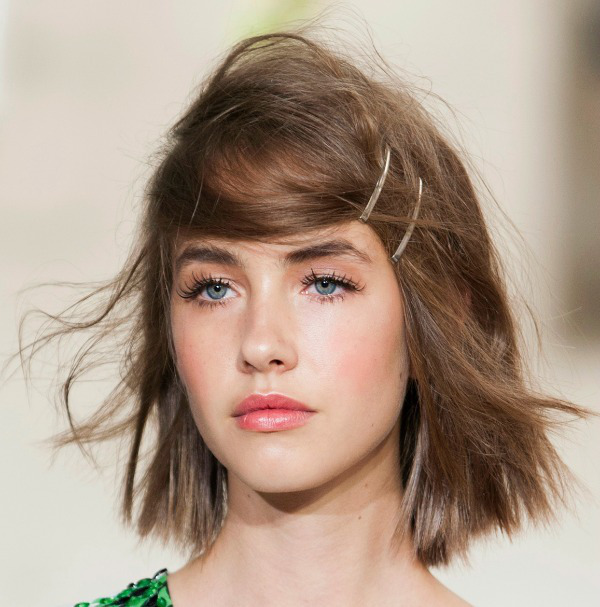 If going for the daring pixie cut or buying a set of expensive extensions isn’t up your alley, you might find yourself in a monotonous hair rut. Thankfully, there are a ton of hairstyling options and even a few minor cutting techniques you can do to give yourself an updated ‘do without drastically changing the popular length. To help you figure out how to style a bob, we pulled together 7 options for you to choose from. 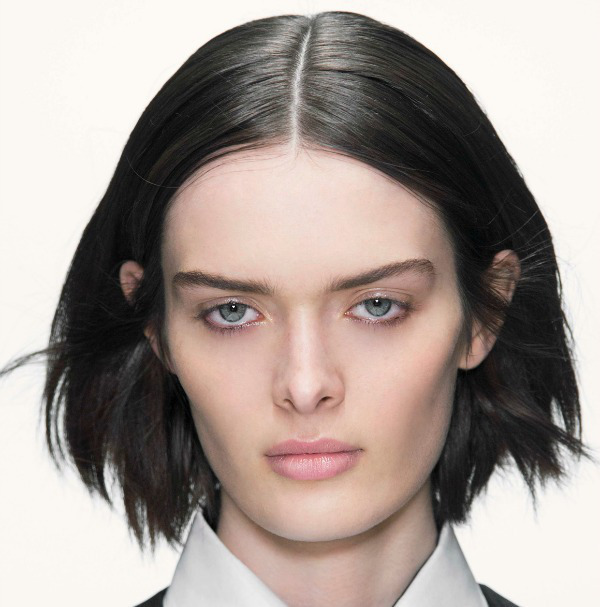 If you already have a blunt bob, try giving your look even more of a mod vibe and cut bangs of a medium-thickness that fall right below your eyebrows. While they may need some management, the length provides you with the option of pulling them back or growing them out with ease. We’ve said it before and we’ll say it again. The bobby pin is completely underrated. Fake fringe without actually cutting them by parting your hair on the side and pulling the hair over your forehead and then pinning it back with a bobby pink or a dressy barrette. The pins will also double up as a cute hair accessory. Give your workout headband another wear and rock it during the day, using it to pull flat-ironed hair back and out of your face. 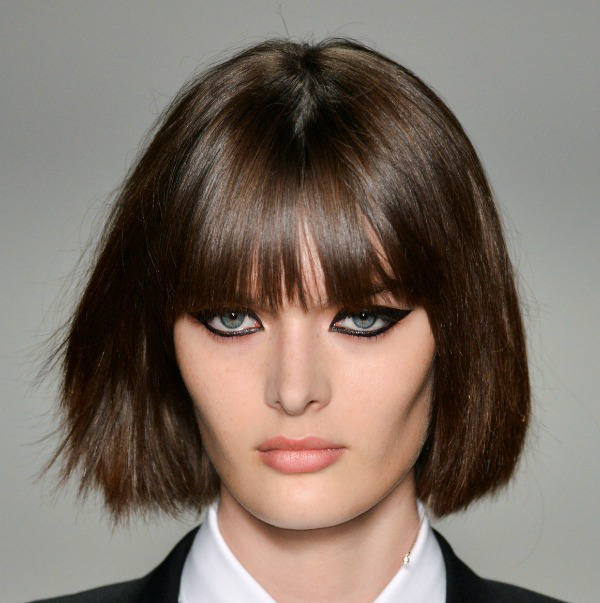 This look is ideal for someone transitioning their bangs. 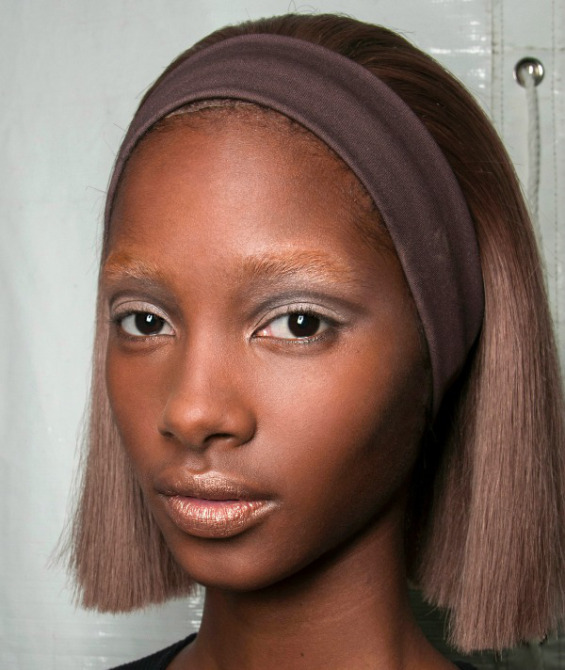 Place the headband right at your hairline and be sure to calm your hair of fly-aways and static for a sleek look. You might not believe it, but changing your hair part alone can make it appear like you got a new cut. As hair flips into different directions, it creates the illusion of layers, angles, and volume. 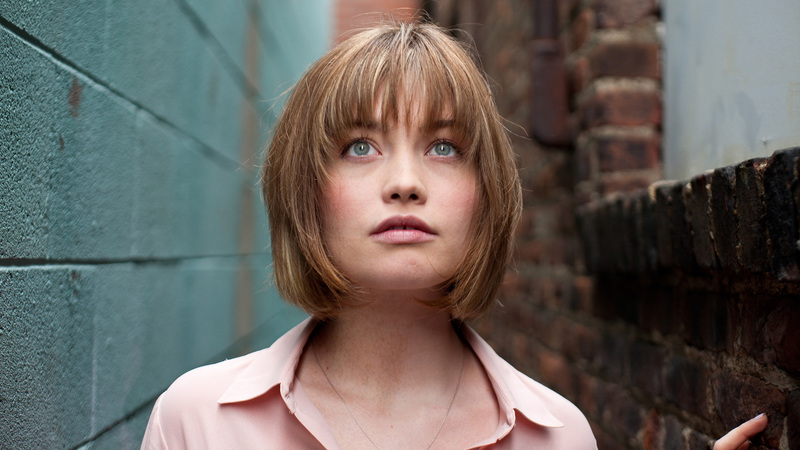 Go for a modern middle part with a chin-length bob with piece-y texture at the ends. Don’t get trapped in the thought that you can’t do a lot with short hair. That couldn’t be less true. 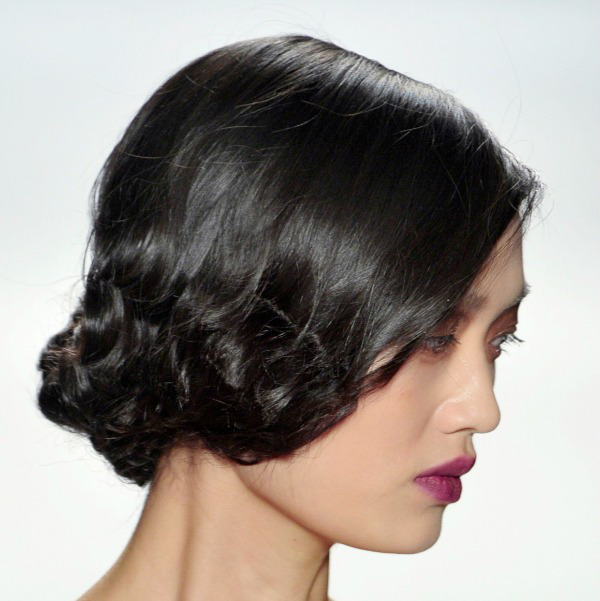 Create a 20s-inspired look by with pin curls starting at your ears and followed around your head. Keep the rest of your hair texture-free and smooth, allowing the curls to really pop. When you remove the curls after a few hours, you’ll have a wavy, beachy style to wear later. You’ll be glad you didn’t get rid of your hot rollers. Part your hair on the side and set your hair in 1 ½- inch rollers while you finish getting ready in the morning. They’ll need to stay in for at least a half hour, so make sure to plan your time accordingly. When you take them out, keep the style in place with a flexible and long-holding hair spray like Living Proof’s Flex Shaping Hairspray. 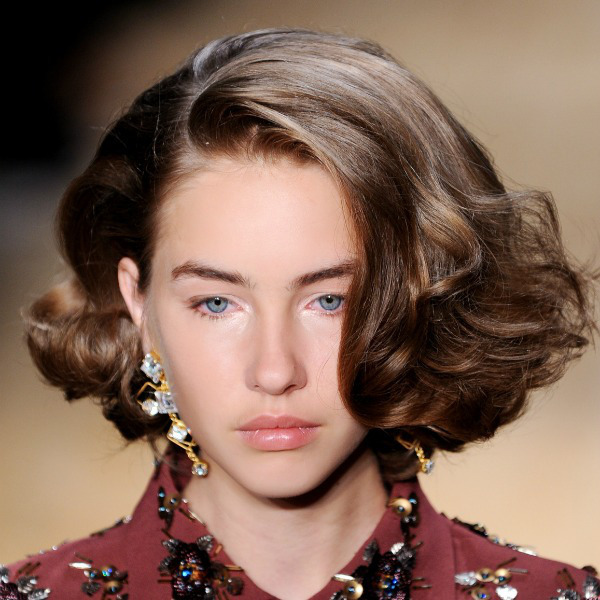 We love the idea of wearing an ear cuff or dramatic dangly earrings on the side opposite your hair part. This is quite possibly the simplest way to update a bob. As long as you have a curling wand and heat-protectant spray, you’ll be able to achieve this at home. After curling the hair around your head with a 1-inch curling iron, run your fingers through your hair to separate the tendrils. Keep the pieces around your face in a spiral shape by winding them around your finger. Finish with a spritz of finishing spray or salt spray for even more texture.